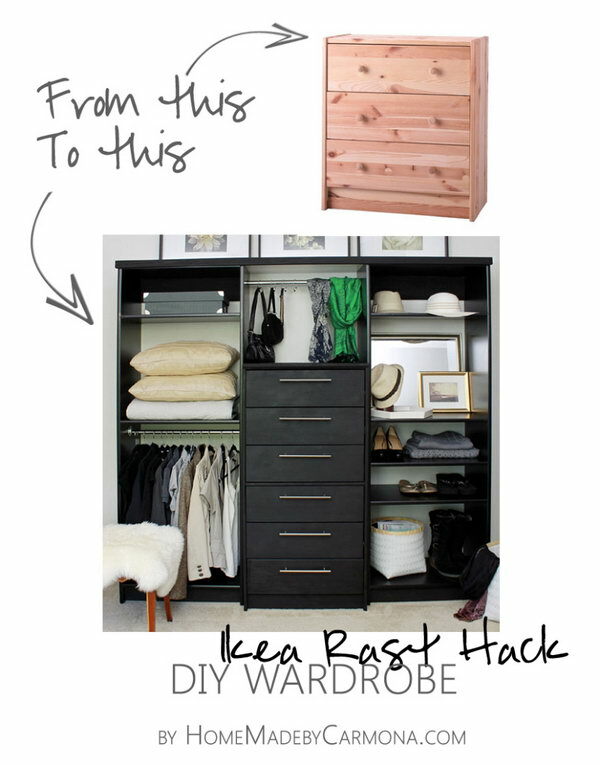 The IKEA Rast dresser is a simple, three-drawer furnishing that is inexpensive and relatively lightweight. It seems to be the DIYer’s favorite project and has been hacked again and again with good reason. Because $35 is really a small investment that, as you can see, can be dressed up in an endless array of ways. 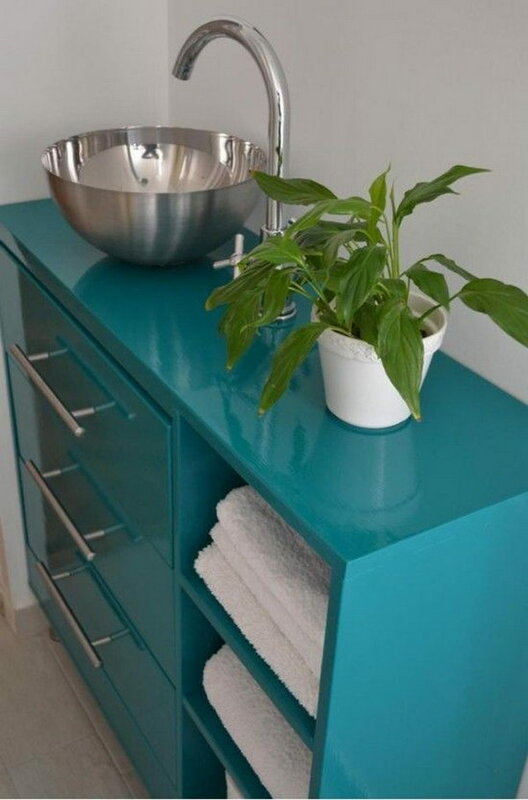 You can paint it in your chosen color or add some golden drawer pulls for extra style in simple fashion with reasonably price. 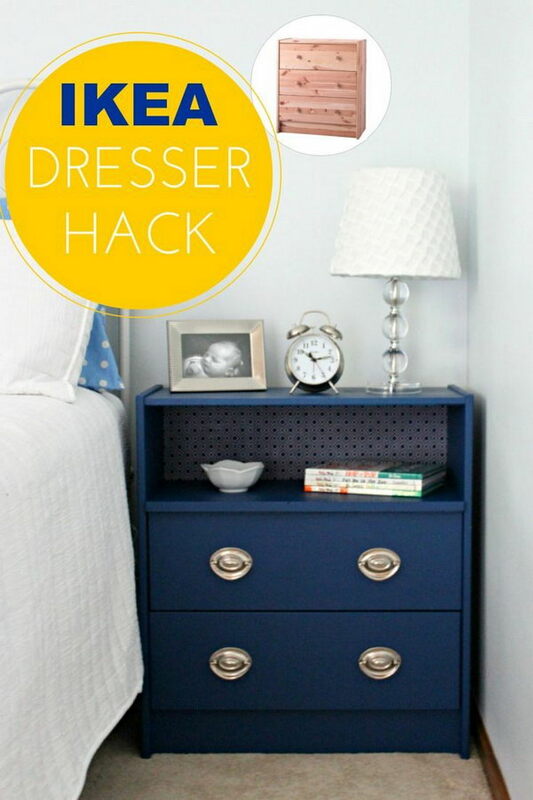 In today’s post, we have collected some awesome IKEA hacks for Rast dressers with step-by-step tutorials for your inspiration. Take time to browse through these collections and add a personalized furniture for your home. Enjoy! 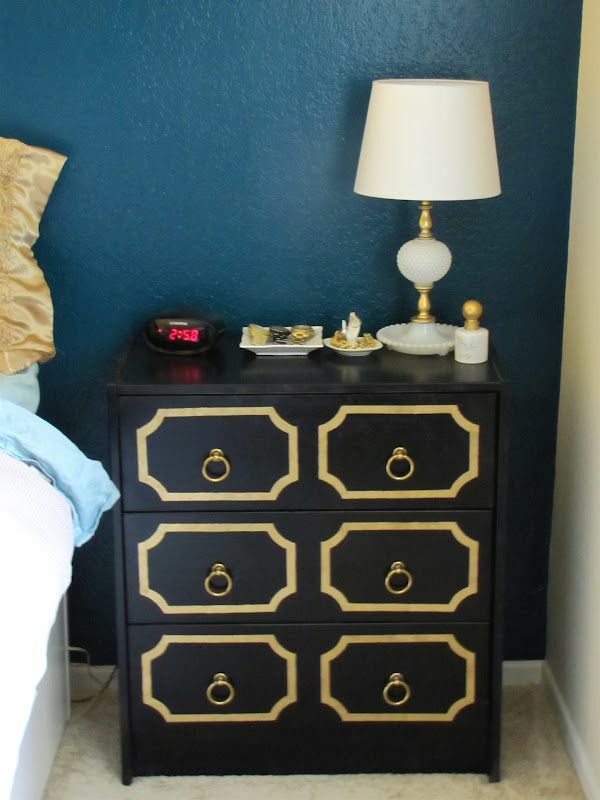 Some wood-working can change a pretty plain and boring IKEA Rast dresser into a bedroom masterpiece. Get the tutorial here. 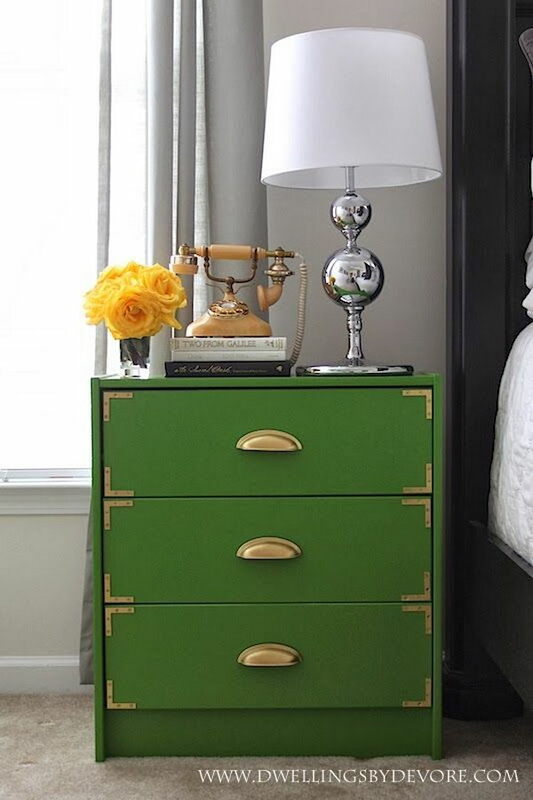 An emerald green paint job and vinyl ostrich-inspired fabric give the base dresser from IKEA a new life. 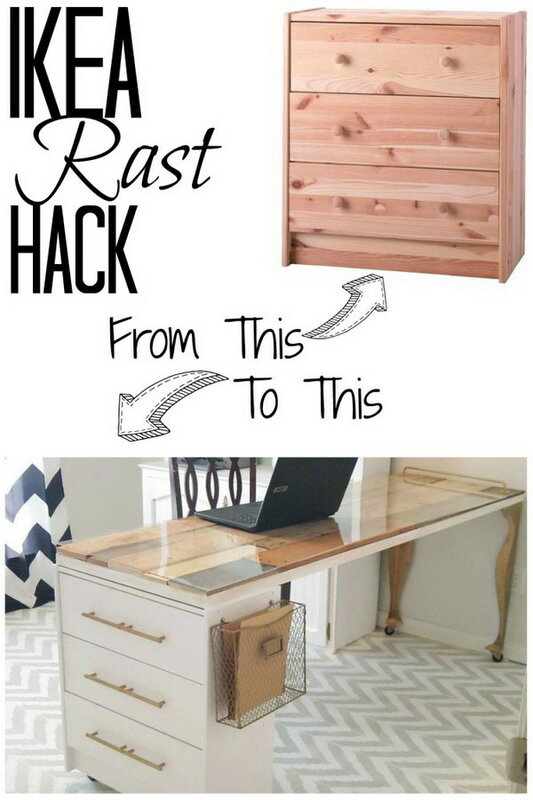 Love this genius hack for the bedroom nightstand. See the directions here. Hot Pink Dresser Completely Transformed with Paint, New Hardware and Crystal Nailhead Trim. DIY wardrobe made from the simple IKEA RACK chest. 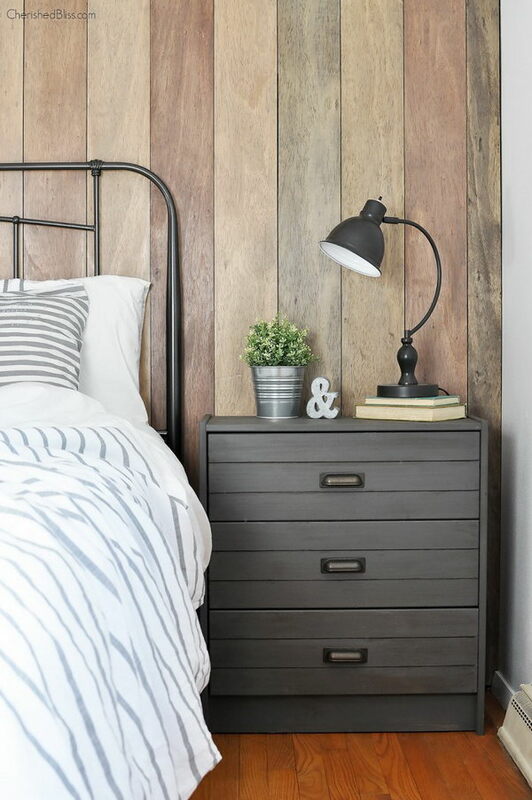 Paint a basic IKEA RAST chest with the gorgeous deep and warm gray and add some cup pulls to create this rustic industrial nightstand. See how to do it here. 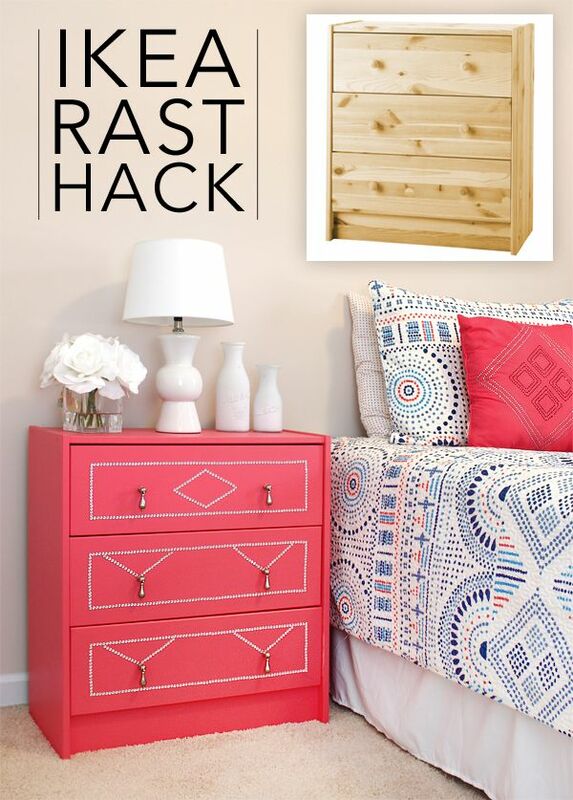 Modern and Bright Ikea Rast Hack for Girls. 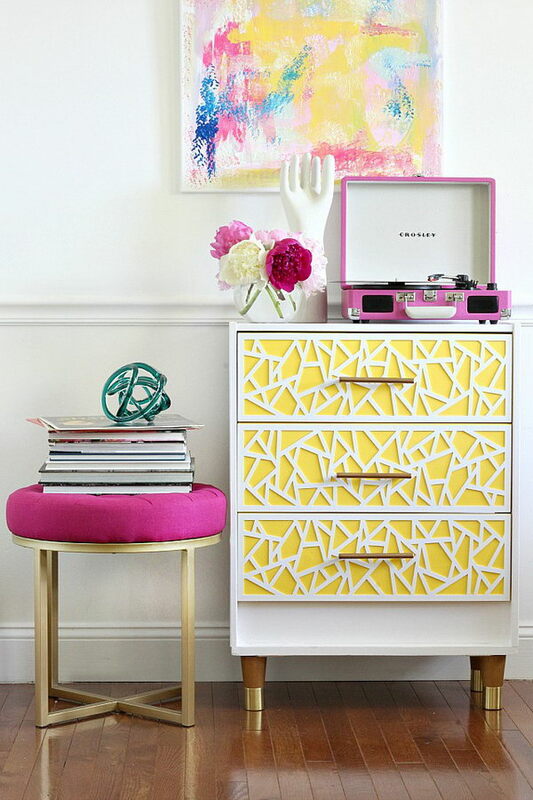 Here’s a little something for the girls’ room, the re-vamped Ikea Rast chest. 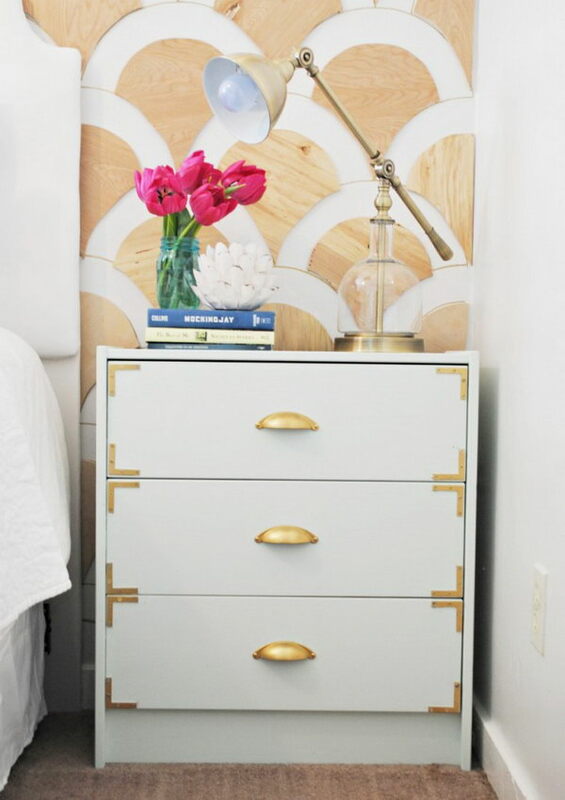 This high-style DIY project screams easy. Learn how to make ithere. 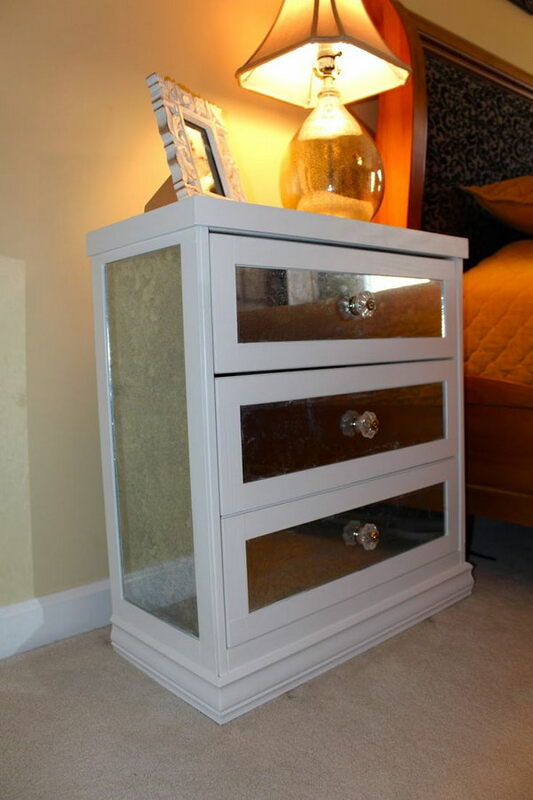 DIY Ikea Rast Makeover with Weathered Gray Wood Stain. 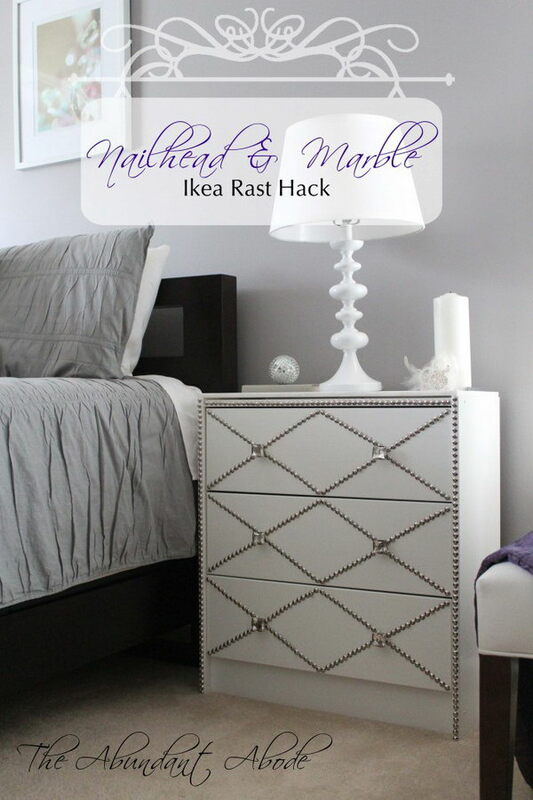 Nailhead & Marble Ikea Rast Hack. 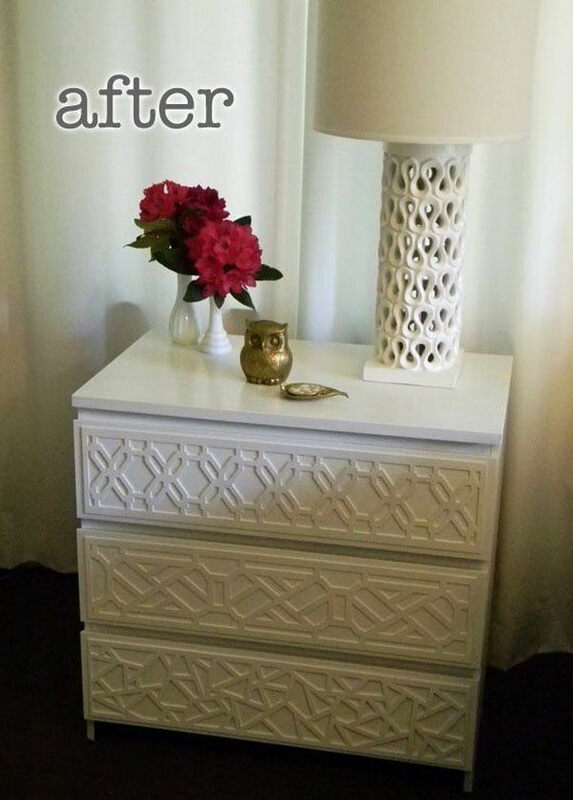 Create a New Bed Side Table by Adding a Little Panit and Changing the Hardware. It’s amazing what a little paint and hardware with some creativity will do! 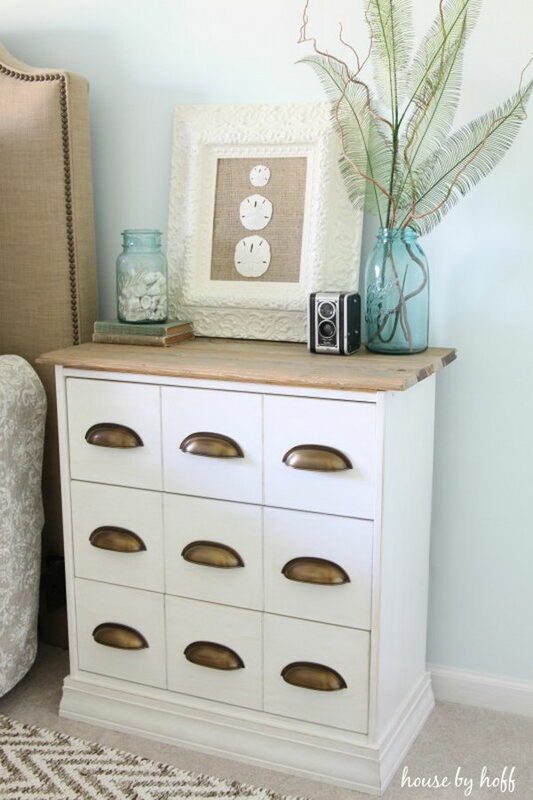 This dresser is now a new bed side table that’s perfect for guest bedroom. Check out the tutorial here. 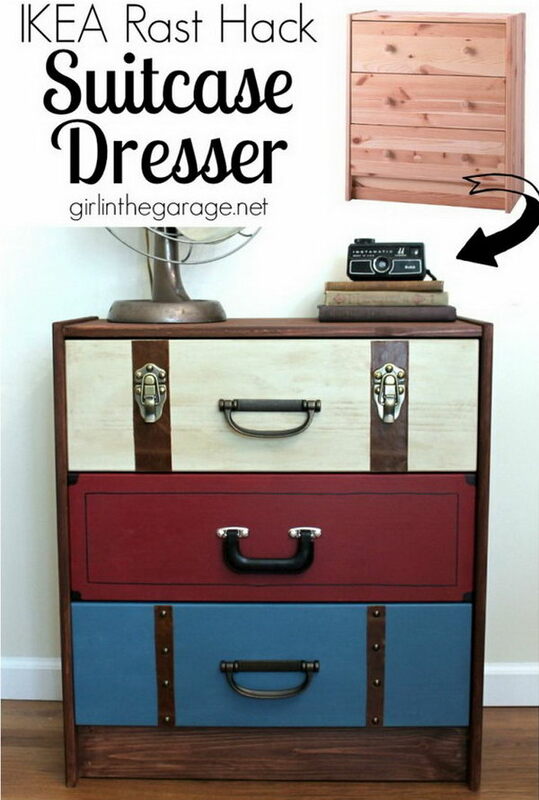 A Suitcase Dresser Makeover from an IKEA Chest of Drawers. 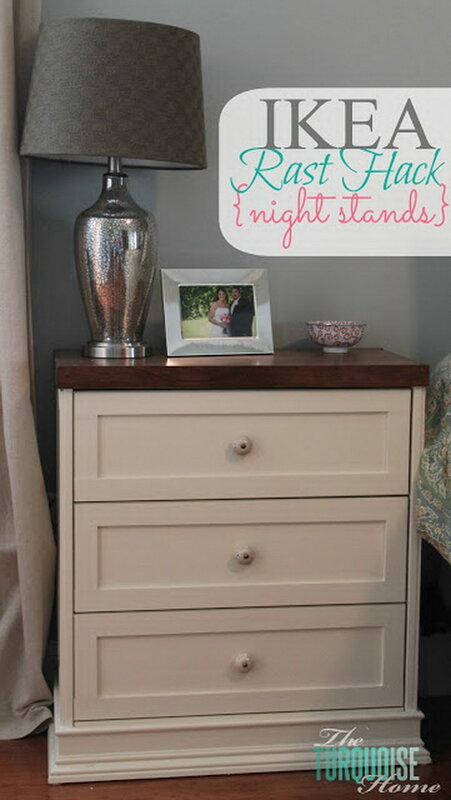 DIY Campaign Style Nightstand. If you want to make your IKEA Rast look like campaign furniture. Here are some ideas for your inspiration. The Blue One. See more details here. 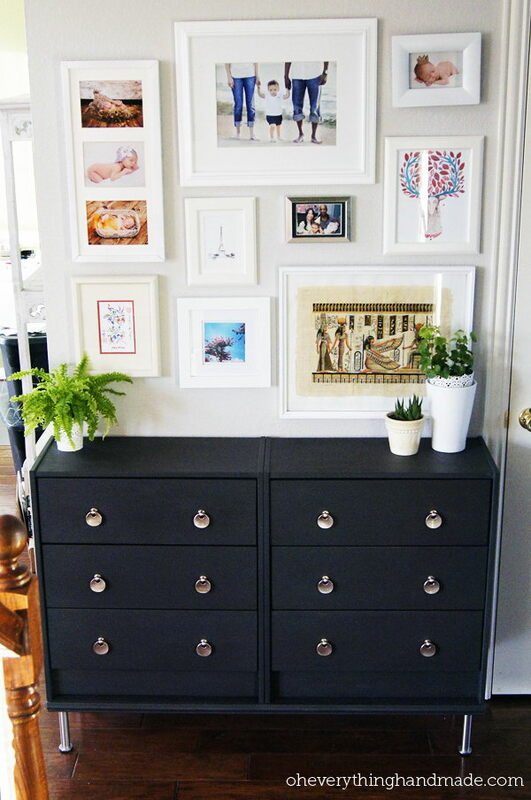 A Modern Version for the Hallway with this simple and inexpensive IKEA Rast 3 drawer chest. 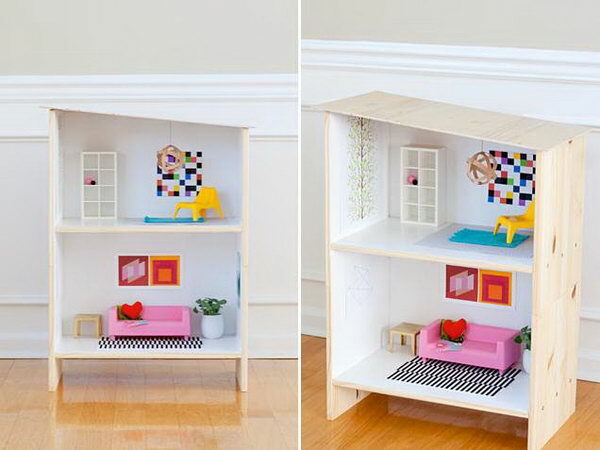 Turn a Rast nightstand into a modern dollhouse for your little one’s room. Learn how to make it here. IKEA Rast Makeover with O’verlays. 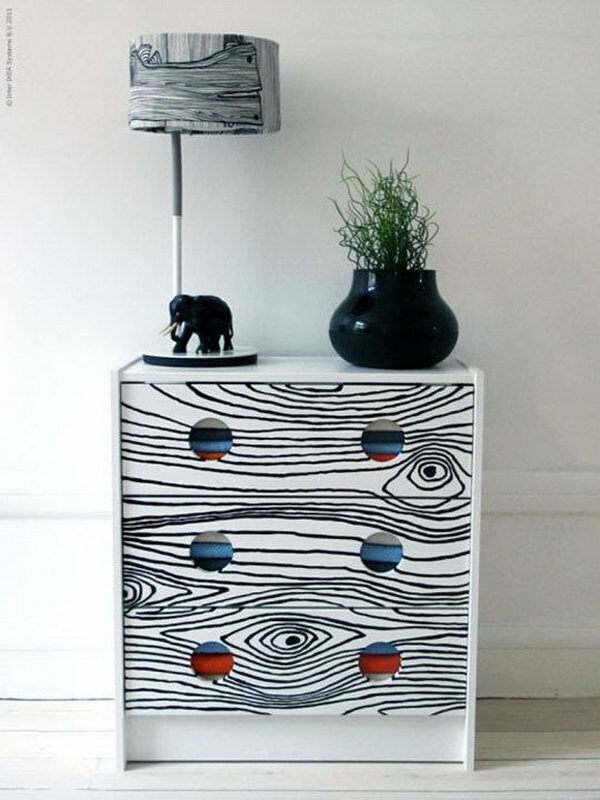 Give your plain IKEA RAST dresser a unique look with a faux bois print. 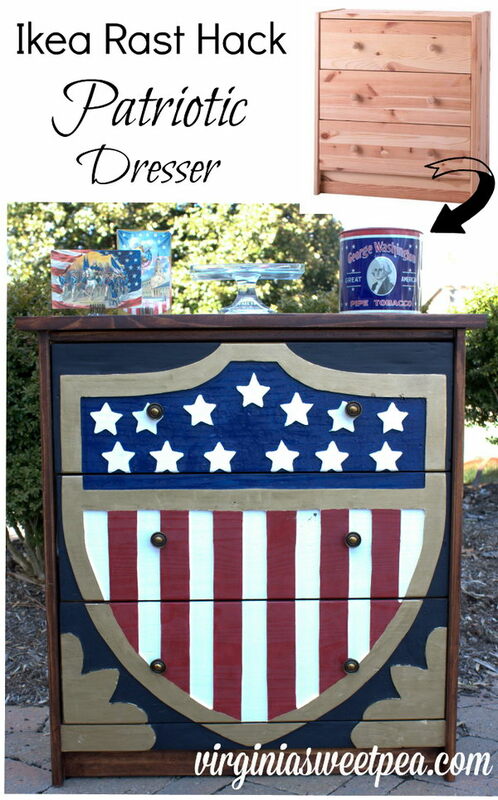 Patriotic Dresser – Ikea Rast Hack. 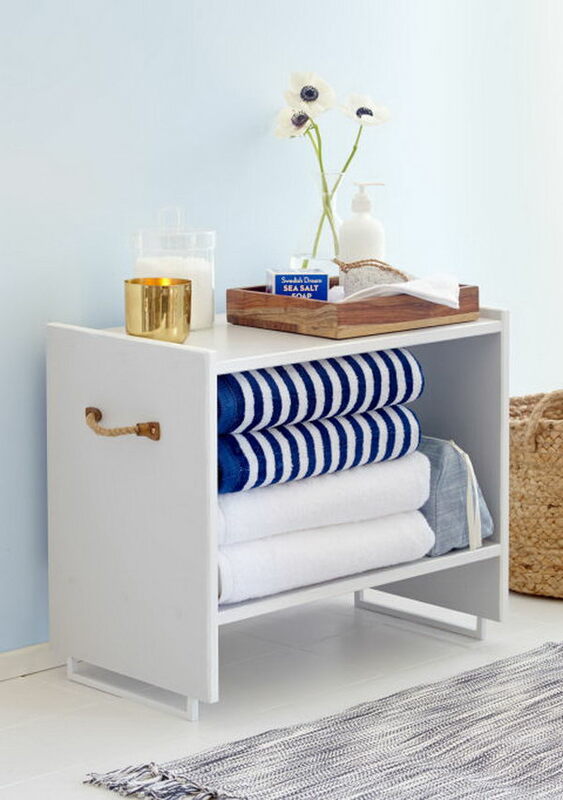 Ikea Nightstand into Adorable Bathroom Storage. 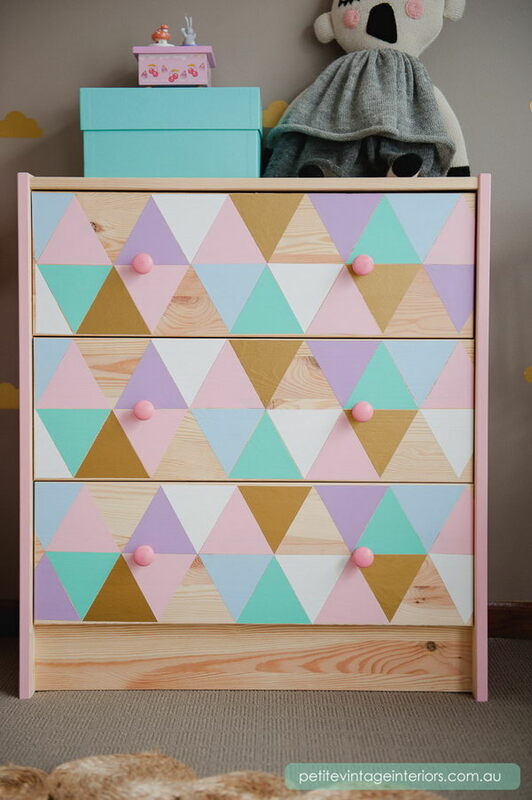 You can decorate the simple and boring IKEA RAST dresser with colorful paints for a kid’s room. See more here. 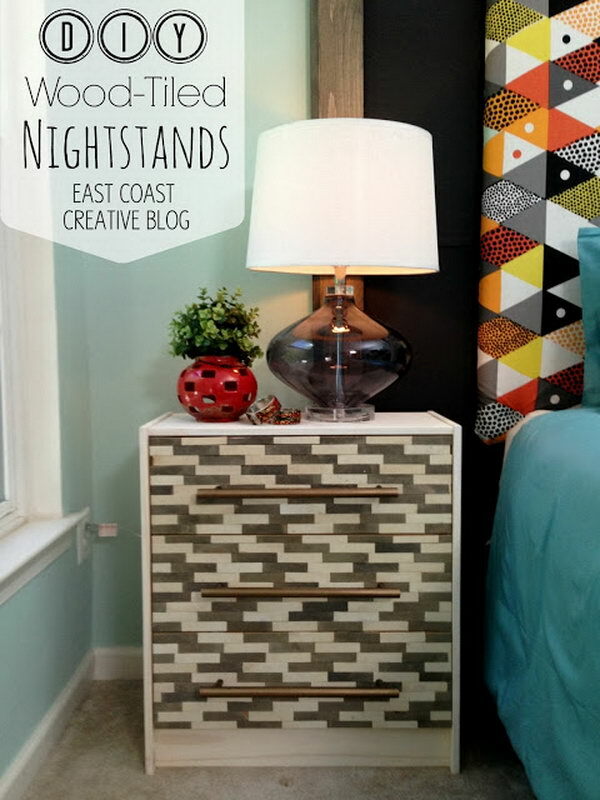 Get yourself some seriously styling, high-end-looking nightstands at a great price with the instructions here. 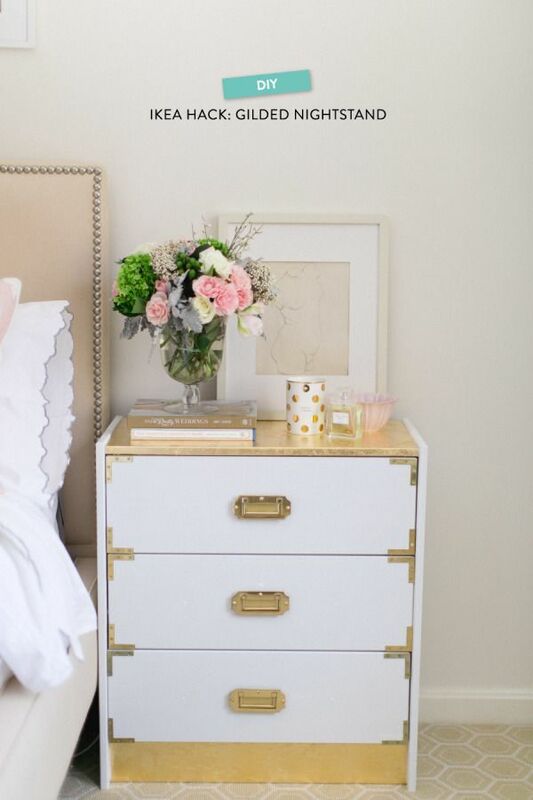 Decorate the IKEA Rast 3 drawer chest with some mirrors for a chic side table in your bedroom. See more details here. 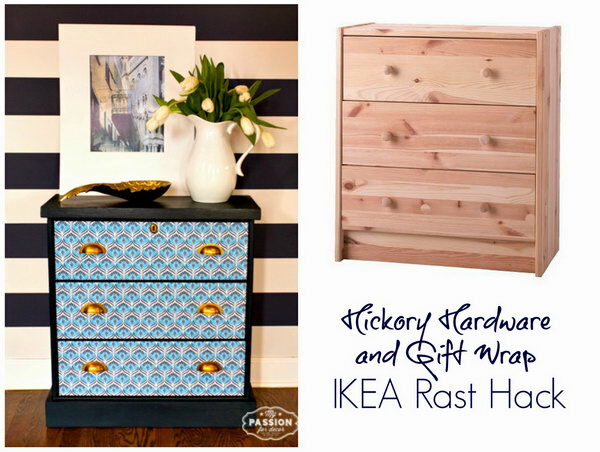 Gift Wrap & Hardware IKEA RAST Hack. 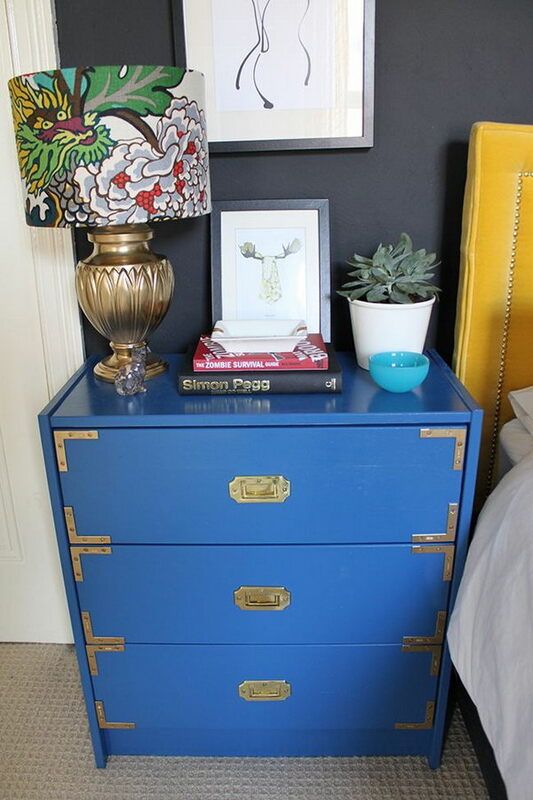 With just a little paint, new hardware, colorful paper, your simple IKEA RAST chest will get a new look. Check out the tutorials here. 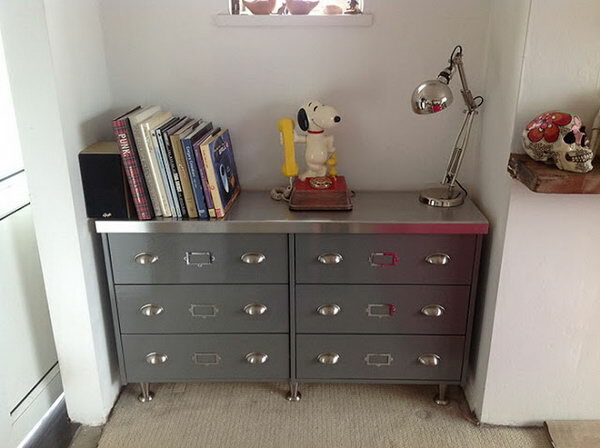 Faux Vintage Steel Sideboard from RAST Chest. 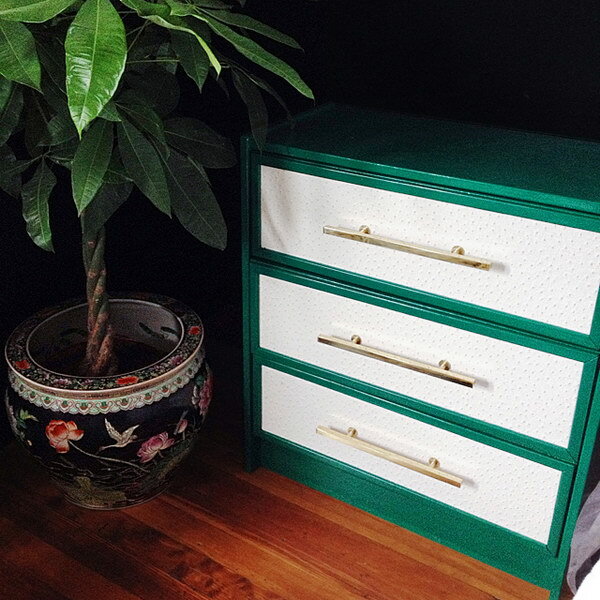 Here’s another beautiful IKEA RAST makeover. Check out the detailed instructions here.